Our Fact Sheets are short topical documents. 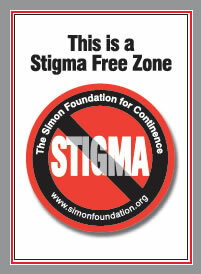 They are all written by the Simon Foundation for Continence and then are reviewed by medical professionals. Each Fact Sheet is a PDF files that you may read online or download and print. We encourage physicians and all healthcare professionals to print these Fact Sheets and have them available for patients and caregivers in their offices and waiting rooms, or as handouts at educational programs for the public. 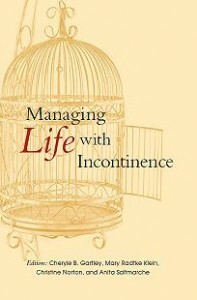 Managing Life with Incontinence, edited by Cheryle B. Gartley, Mary Radtke Klein, Christine Norton and Anita Saltmarche. c2012. 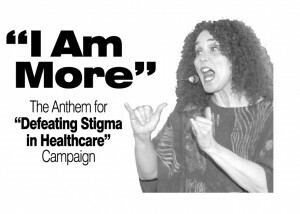 In addition, there are chapters on: Building resiliency – Communicating with friends, family, and health professionals – Overcoming stigma, to name a few. 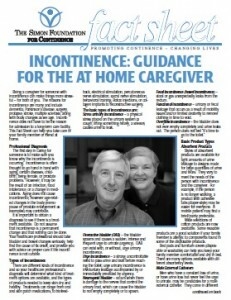 Managing Incontinence: A Guide to Living with Loss of Bladder Control, edited by Cheryle B. Gartley. c1985. This is a book of hope and counsel for those who suffer urinary incontinence, and their families. 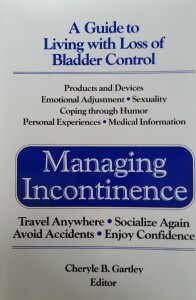 It is the only book that exists for those who have lost bladder control. Until recently, incontinent people have typically withdrawn from family, friends, and active living for fear of accidents and public embarrassments. They have become prisoners in their own homes. Society has not been helpful. Urinary incontinence has been called the last taboo. In an era when every other once closeted subject is discussed frankly in all the media, incontinence has remained in the dark. Interviews with incontinent people who speak frankly about accidents, isolation, sexuality, and fear of being unattractive. Clear explanations and illustrations of the way the urinary system functions. Psychological strategies for building confidence. Illustrations and descriptions of products for incontinent people, plus an appendix with information from manufacturers. A guide to sexuality for people who are incontinent. 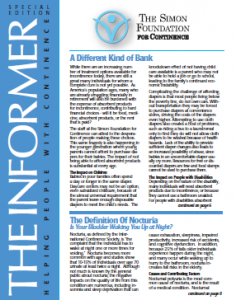 A look at public and medical attitudes about people with incontinence. A discussion of the ways our society has treated the subject in the past. The I Will Manage program enables healthcare professionals to reach out to those in their communities who have incontinence and provide them with the education, support, and care that can change their lives. It is a health professional led, community-based, multidisciplinary program to teach people about types of incontinence, and the products, devices, procedures, and medications that are available to them. 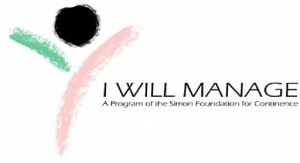 This program can be the starting point for a support group. The program includes a binder that includes posters, a CD with a PowerPoint template that can be modified for each audience and also includes Word and PDF documents for handouts at a presentation, posters, and marketing strategies.